If your time’s in short supply or your garden is large, this sprinkler hose makes light work of watering. Nice and flexible so it'll easily bend around plants and other obstacles, the flat perforated hose produces a fine spray when upright and a deep soaking action when horizontal. Perfect for lawns (especially when newly seeded) and ideal for zig-zagging around your veg plot. There's no need to keep moving it as you do with a sprinkler attachment on a regular hose - just drape it out, set it off and enjoy a cuppa! The hose is a fairly generous 10m long and comes with a screw-in connector so you can join it to another sprinkler hose if you need to cover a larger area. 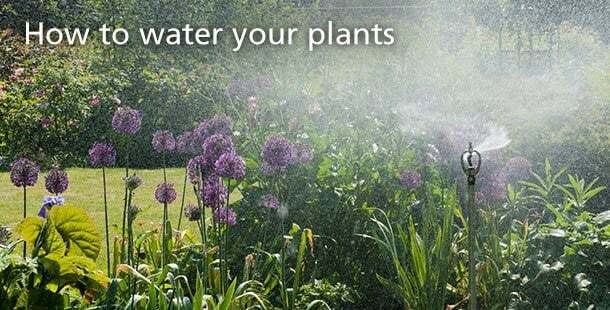 It can also be attached to a timer to keep your garden or allotment well watered while you're away (not supplied).